Quick Start Guide to Water Bath Canning - 28 Recipes Included! Can your own jams, jellies, salsa, pickles, and more! Prepare and store your fruits, pickled vegetables, and tomato products with ease! This quick start guide walks you through the entire process, step by step, and in great detail. It also includes 28 recipes and a checklist so you never miss a step! Quick Start Guide to Water Bath Canning is an amazing resource for inexperienced canners like myself. I loved it! It really is well written and easy to follow! Plus it made canning less intimidating. The checklist is super awesome! Learn more about exactly how to water bath can fruits, tomatoes, pickled vegetables and more with this quick start guide. Short and to the point, this resource gives you all the information you need to add this classic homesteading skill to your abilities list. 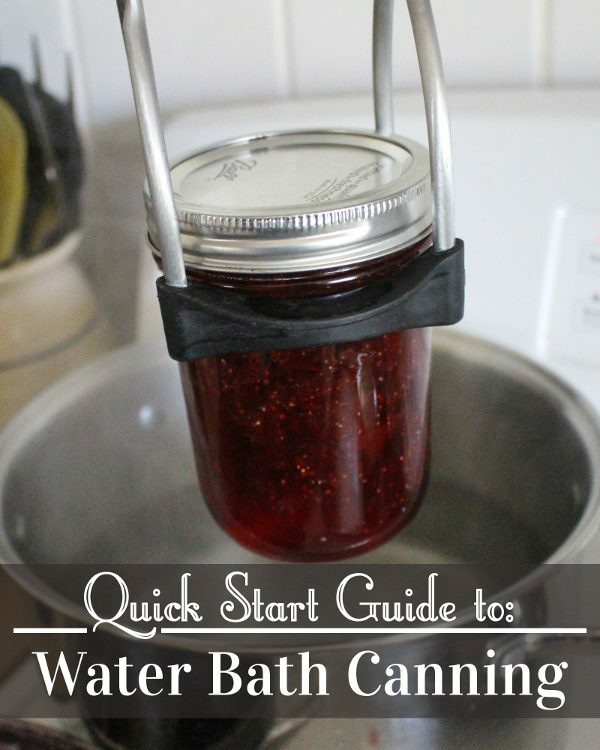 Whether you already know how to water bath can, or you’ve never canned anything at all, this guide breaks down every step for you in an easy to understand way! Learn canning terminology to make reading canning recipes easier as you move forward, and find how what foods you can safely pressure can! You also get the step-by-step checklist to use while you are canning to make sure you never miss a step. Includes 28 of my favorite water bath canning recipes! Get this guide today and start your canning journey! Canning is a skill that can help you eat better, save money, and be more self-sufficient all at the same time! It’s also a skill you can learn no matter where you live, and you don’t need a garden to be able to enjoy the benefits of water bath canning! Victoria’s Quick Start to Water Bath Canning shows you exactly how to can your own food at home. If you are new to preserving your own food, this resource is invaluable. Just follow these step-by-step instructions and know you are safely home canning food for your family. 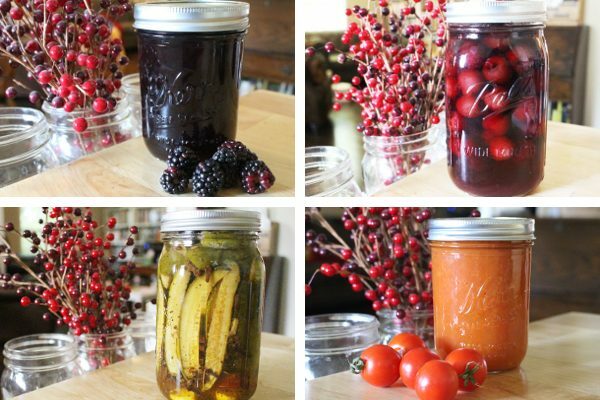 At the same time, you’ll build your confidence about home canning and how easy it really is! 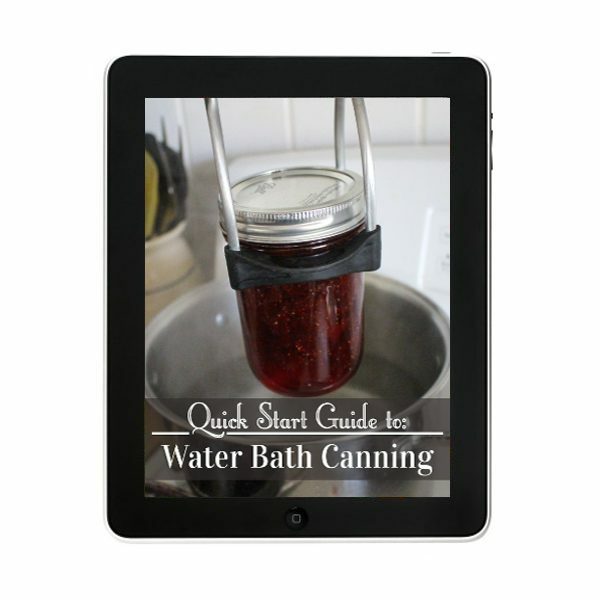 Download “Quick Start Guide to Water Bath Canning” Now! Instant Download on confirmation screen. You will also get a download link via email.